My post today centres around a new addition to my own wardrobe: a nylon “NATO” watch strap. 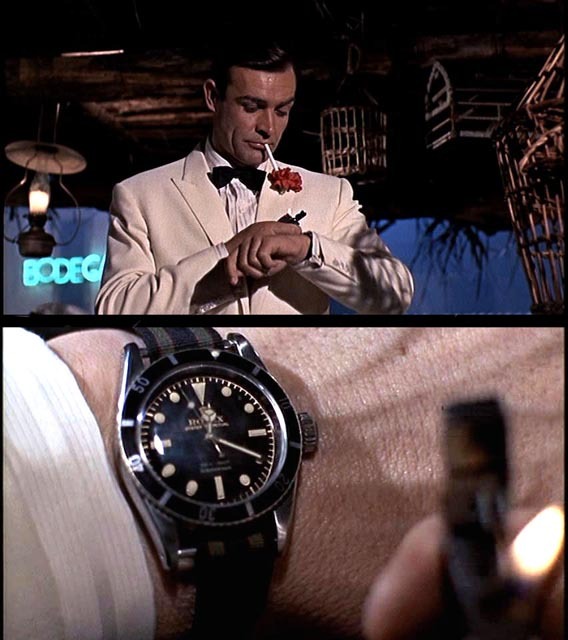 There’s no question that Sean Connery as James Bond looked cool as hell when he wore his Rolex Submariner on a “NATO” strap (see picture below). So, I’m hardly the first person to trumpet these types of bands; nonetheless, I’m a late convert. But convert I am – I’ve worn mine 6 consecutive days, and I don’t like to wear the same watch more than a day or two in a row. 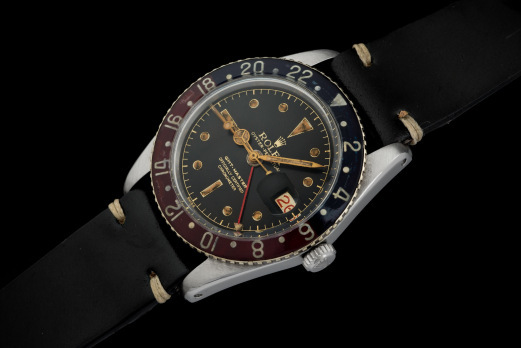 The nylon strap rose to popularity thanks to British Ministry of Defence (MOD). The standard issue strap (called the “G10” thanks to its requisition number) has come to be known as the “NATO” strap because its stock number falls within those associated with “NATO”. 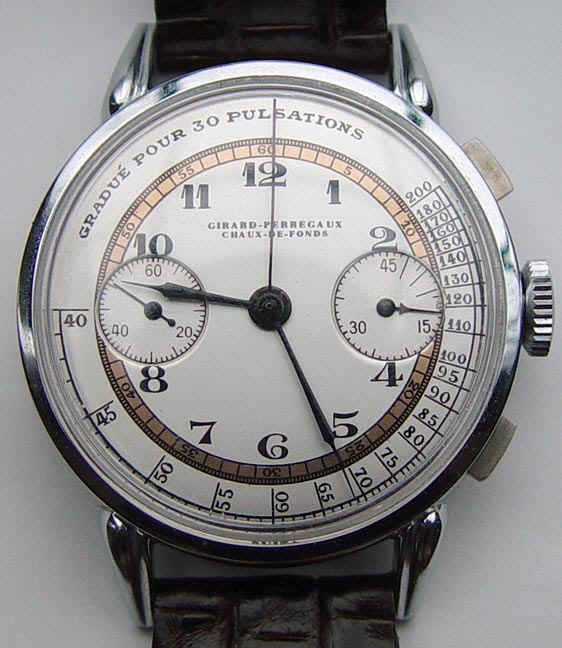 Traditionally, it came in only one colour (dubbed “Admiralty Grey”) and only in the 22mm size. 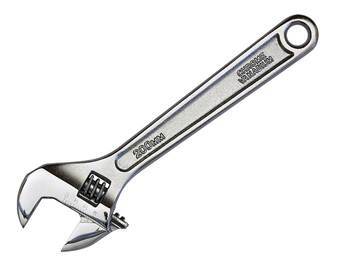 There are now two colours in the NATO stock catalogue, with both stil using the traditional chrome plated brass hardware. It is now available in a wide range of colours and patterns, from a variety of aftermarket suppliers, most traditionally featuring vertical stripes running down the middle of the band. 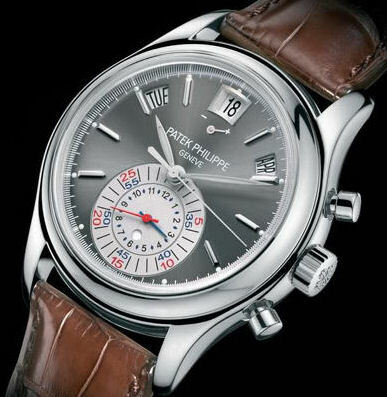 Another popular variation is the “Zulu” strap, which is thicker and is worn slightly differently. 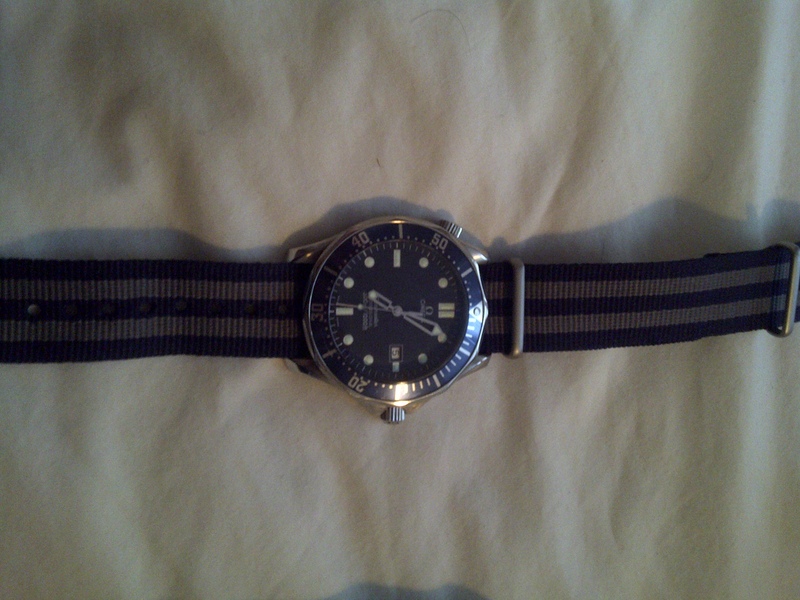 For me, the addition of a nylon watch strap stemmed not out of a particularly strong desire to wear one, but rather out of a problem: I don’t really love the standard bracelet that came with my Omega Seamaster Professional. It’s not the clasp: I think Omega’s are some of the most functional. 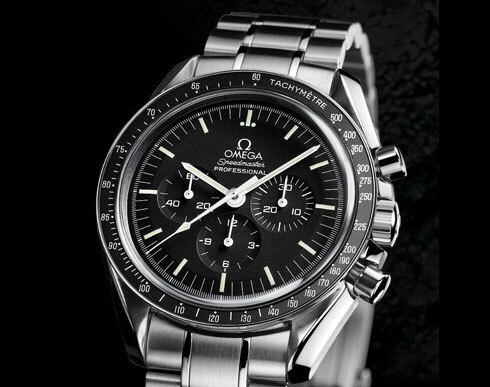 Rather it was the style of the links which didn’t sit well with me (which goes to show you how personal one’s taste in watches are, as many people herald the Omega bracelets as some of the prettiest around). The Omega has become my day-to-day, beat-around work watch, but the bracelet is a scratch and scuff magnet, it’s hot and heavy to lug around a steel bracelet all summer, and, most importantly, I just didn’t love it. 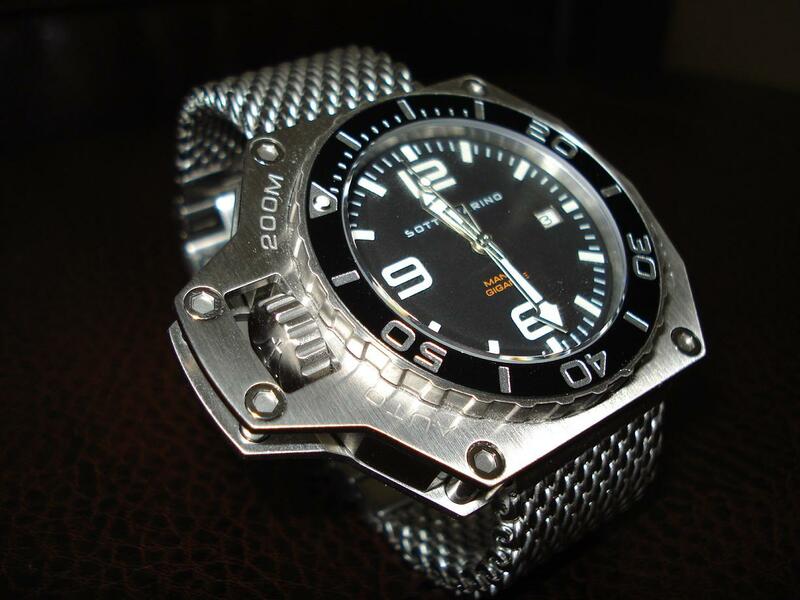 In fact, I was on the verge of selling the watch; that is until I figured I’d take a $17 flyer on a navy and steel grey NATO-style strap from Gnomon Watches. 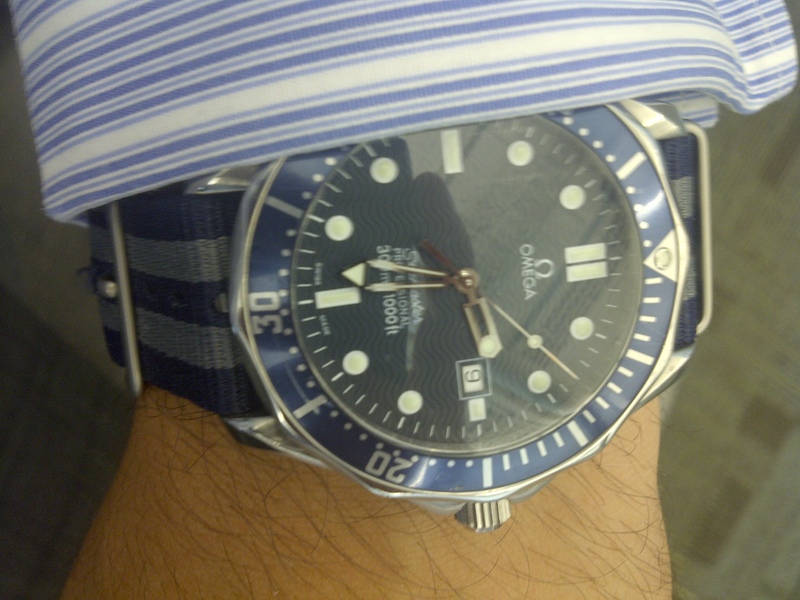 Once it arrived (nicely packaged I might add) from Singapore, and I had taken it, along with my watch, to my Authorized Omega Dealer (or “AD” as it tends to be abbreviated on watch sites), suddenly my Seamaster was transformed. Frankly, it looked cool as hell – just as importantly, it felt cool as hell given the light, breathable nature of the nylon. Hopefully you’ll agree with my assessment, as I’ve provided two, rather poor quality pictures of my watch and its new strap below. Thanks for reading and I look forward to being much more active with this blog.